Naz Wooden House is a small historic hotel with unique atmosphare. It is built upon the remains of the city walls and renovated from an Ottoman house. It is only couple of minutes walk to Blue Mosque. There are 7 private ensuite rooms with A/C decoreted with wooden and handmade garments. The breakfast terrace offering a view of the sea, Asian shores and Blue Mosque. Free Wi-Fi use available.It is run by one of the well-known Turkish travel groups owing also Efendi Travel Agency and 2 more hotels Deniz Houses and Sultan's Inn. NAZ which is originally an old 'Byzantine&Ottoman House' today serves as a model for traditional and gracious accommodation. It has 7 ''cave-like rooms'' with bathroom and shower, and other modern facilities such as air conditioning, central heating, cable TV, minibar and hair-dryer.All of rooms are no smoking.The interior of the rooms reflects the exotic beauty of ''Byzantine and classic Ottoman Empire decoration''. All the rooms are decorated with rustic wooden furniture and ''Turkish handcrafts'' which are the samples of neo-classic Ottoman art. 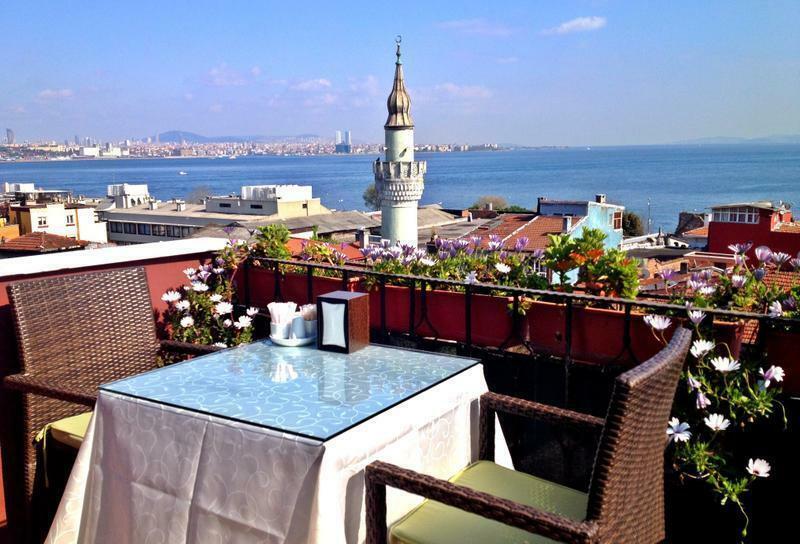 The terrace of NAZ has a tremendous view of ''the Sea of Marmara and the Princes Islands on one side and a spectacular view of the Blue Mosque'' on the other. Naz also has an ancient hall of which the walls are the remains of Byzantine house. Please note that we provide airport trasnfer service for our guests . The cost is 25 Eur for one way for the Ataturk airport and 60 Eur for Sabiha Gokcen airport. Please inform us for your flight details in advance. The open buffet breakfast is served at beautiful wooden terrace looking to the sea,old wooden houses and Blue Mosque in summers and in the ancient hall during the cold winter days and prefered by the guests for listening traditional Turkish music. 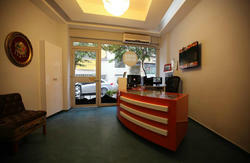 We have also free internet service for our guests in the common area. An important detail distinguishing NAZ from other wooden houses is that it also contains the remains of an older building made of stone which dates back to the 8th century and is thought to be a secondary building of the Byzantine Palace. The remnants of the historic building are preserved in the interior walls of NAZ, as are the some of the original Byzantine arches and columns. This makes the NAZ Wooden House Inn unique. Although some part of the building was unfortunately destroyed, with the consent of the Commission for Ancient Monuments, NAZ Wooden House Inn was rebuilt with its exterior as an exact replica of the original home. Cancellations should be made at leaat 3 days before, otherwise one night is charged to credit card. 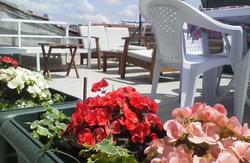 At the moment you step into NAZ WOODEN HOUSE INN you will feel and be welcomed by the traditional Turkish hospitality. NAZ Wooden House INN is in the middle of Old City. 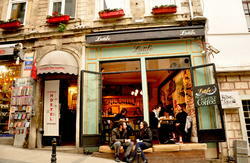 It is located both in the old and modern part of Istanbul. You can find NAZ by following the road between Blue Mosque and Saint Sophia. Then take the first right and then the left. You go down the street.You will see the 'Telve Cafe'. We are at the back of the Cafe. Second Direction is that; Follow the Kennedy street from the airport to the old town and turn from the 2nd sign of Sultanahmet. Turn up from the Akbiyik mosque and Naz is located at the first street left.